My name is Scott Phillips, and I have been in active recovery since December 29th, 2016. About 15-months ago I was introduced to Trinity House through a “team dinner” opportunity through my children’s school. Several schools and churches around the city support Trinity House by bringing dinner to the men, and if you haven't done this, you are missing out on an incredibly uplifting opportunity of service. Along with a great meal, I found amazing men with a true willingness to do whatever it took to find a solution to their problems. I found a group of men with the gift of desperation that drove them to support one another in their respective journeys and lift one another up. I found love and miracles in action. Ultimately, I found people like me. It has been one of the most unlikely gifts I’ve ever received and indeed I am grateful for the miracles that occur there and the support they’ve shown me. Recently it came to my attention that many to all of the windows at Trinity House are old, non-functional, rotten and cold. Rainy weather is coming indoors and warm air is seeping outside. Not only does this magnify costly energy bills associated with operating Trinity House, already on a tight budget (they are providing shelter, food, clothing, and recovery program and tools to these men) , it is also leading to the men becoming sick. I found an opportunity to be of service to those whom have been of service to so many others, literally thousands of men. What a gift! I have received a budget and scope of work from a great general contractor (J R Jones Construction) in the Atlanta area and I am hopeful that through this campaign others will see the courage and love that is Trinity House and become involved. My hope is to raise 100% of required proceeds to repair the old failing windows so these men can continue their journeys in warmth and dryness. Window repairs can be our problem as these men get back on their feet and face their own problems and fears in warmth. 100% of the funds raised will go directly to Trinity House for the work. I am grateful to be a part of this amazing group and be of service to them and I am grateful for any monetary consideration or willingness to pass this campaign along to others that may have interest in contributing. Every little bit counts. Let’s do this and ensure miracles continue at Trinity House. Let’s allow the light to shine and make a difference. 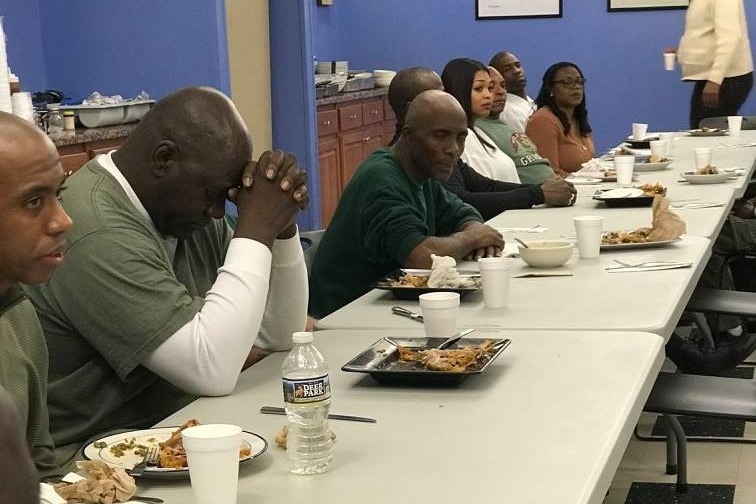 Their mission: Our Mission here at Trinity Community Ministries is to help chronically homeless men reclaim their lives and return to their families and communities as mentors and leaders. What is formerly known as Hanley Funeral home is now a place for new life. Hanley funeral was the place of preparation for boxer “Tiger” Flames and for Dr. Martin Luther King Jr and his mother. Founded in 1988, Trinity Community Ministries is a 36-bed transitional housing program that serves men who are chronically homeless. suffering from substance abuse, veterans who might have fallen on life terms, and those who are disabled. To these men, the program is a lifeline, providing support services that lead back to employment, personal responsibility, and reunification of families. 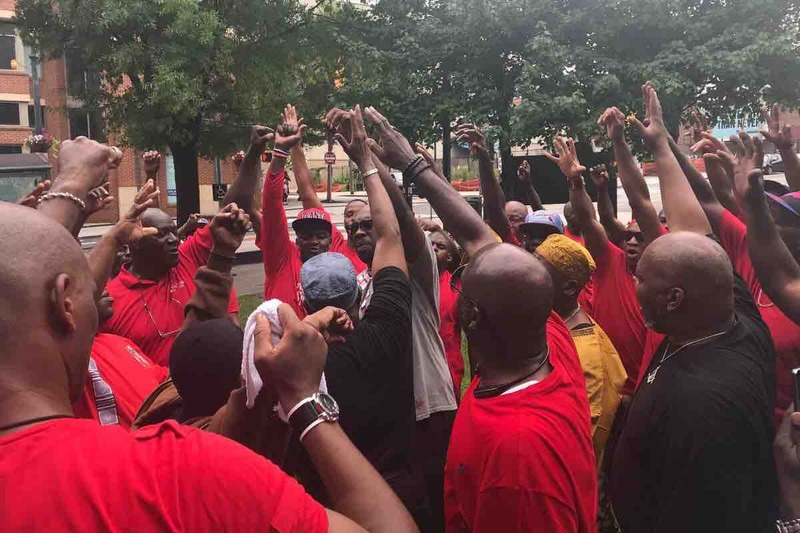 With the help of dozens of volunteers, churches, corporate supporters and other collaborative organizations throughout the city of Atlanta, Trinity Community Ministries provides essential tools and necessary support to promote sustainable independence among men who are homeless and often struggling with addiction or other disabilities. 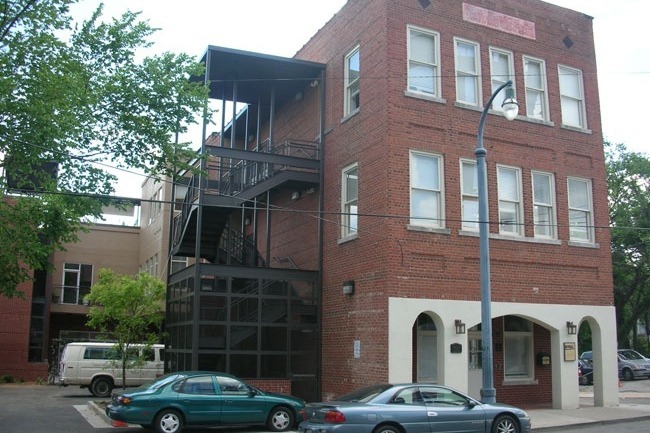 Trinity Community Ministries began operations in February of 1981 in response to the demand for emergency housing for homeless men in downtown Atlanta. The doors of Trinity United Methodist Church were opened to thirty men during the winter months. As the ministry grew, mats on the floor were changed to cots and peanut butter sandwiches turned into hot, hearty meals. Lockers, showers, and clothing were made part of our shelter program. During the summer of 1981, Trinity United Methodist Church again responded to a need in the community and began a soup line on Sunday afternoons which was later named “Trinity Table“. Trinity Table is a soup kitchen that currently serves approximately 400 homeless or hungry people each Sunday with the assistance of over 70 churches and organizations. With the help of over 2,000 volunteers, Trinity Table serves more than 18,000 meals each year. This long-standing essential service to the community remains at Trinity United Methodist Church and continues to feed the homeless each Sunday. In 1987, a separate church committee was formed to accommodate the growing needs of the program. The following year, Trinity Community Ministries was incorporated as a 501(c)(3) non-profit organization with plans to offer long-term solutions to the homelessness crisis. By this time, members from our supporting churches were full partners in leadership positions in the organization. With incorporation, Trinity Community Ministries began to expand its funding base to include grants from both governmental and private entities. In 1989, Trinity Community Ministries responded to the need for long term solutions to the problem of homelessness by opening Trinity House (later renamed Trinity House – Big Bethel to reflect a partnership between Trinity Community Ministries and Big Bethel AME Church). Trinity House – Big Bethel is a 36-bed transitional facility serving homeless men with chronic alcohol and drug-dependency issues. While the program targets African Americans, it does not exclude any homeless man with chronic addiction issues. The program strives to prepare its participants for reintegration into society through counseling and job acquisition assistance which will enable them to become full, contributing members of society. Today, because of the combined efforts of thousands of volunteers from churches and other concerned organizations throughout Atlanta, TCM continues to serve the homeless community. Today we received a very kind donation from the Ralph L Smith Foundation for $5,000! This puts our total fundraising efforts at $68,000. So grateful for everyone’s continued support of Trinity Community Ministries renovation! We are so close to our final goal of $75,000. Happy Holidays to all! All, today we received another $5,000 offline check towards our goal! This puts us at $60,000. Folks we are very very close to our $75,000 goal. Thank you so very much. Thank you CBS46 for running our story! Link below.